This study is based on one of the world’s largest brand-name apparel marketers with sales in more than 100 countries. They employ a staff of approximately 15,200 people worldwide, including approximately 1,400 people at its San Francisco, California headquarters. One of the major initiatives for 2002 was to try and create an integrated supply chain on both a regional and global basis. Although each function was performing highly in their area, cross-functional issues tended to be challenging. People needed to learn to work more effectively with individuals over whom they did not always have positional power. Situation Management Systems, Inc. (SMS) was brought in to provide a customized training intervention in influence, collaboration and negotiation as a way to achieve the client's goal in helping people build cross-functional relationships. The program "Influence & Collaboration Program for an Integrated Supply Chain" began running in March 2002. The demand-planning group who recently had participated in the Influence & Collaboration Program for an Integrated Supply Chain said it was exactly what they needed to know to do their job. The pilot program evaluation, on a scale of one to five with five being the highest score, had an overall rating of 4.6. In another session, the group was made up of product management and customer fulfillment personnel. They actually worked together to negotiate the issues they had with one another. That was a very unique and innovative course. Two business partners negotiated real life issues. The Vice President of Human Resource Operations in the U.S. has indicated that because of the positive feedback, they will look at this course as a possible foundation course for the company for the following year. “Working with the SMS staff was fantastic…from the account manager to the instructional designer to the trainer. The coordination and extra effort has been invaluable in supporting me in marketing this initiative to the organization. We have a very hungry audience”! “This training effort is ongoing. We want to see how people are now applying these tools to their jobs. We are looking at people's development plans because we want to get this on every single person's annual objective at mid-year so that they have some accountability for improving. Therefore, between now and the end of the year -- participants plan and implement two specific influencing opportunities and then report back to their manager on the outcome. The other thing that we are doing is distributing the job aids that SMS have given us along with electronic soft copies of certain templates that were in the planning guide. So we are working on a variety of tools that we can use to do post-employment support and really encourage people. Our goal is to change some paradigms and give people opportunity to build and improve their skills”. 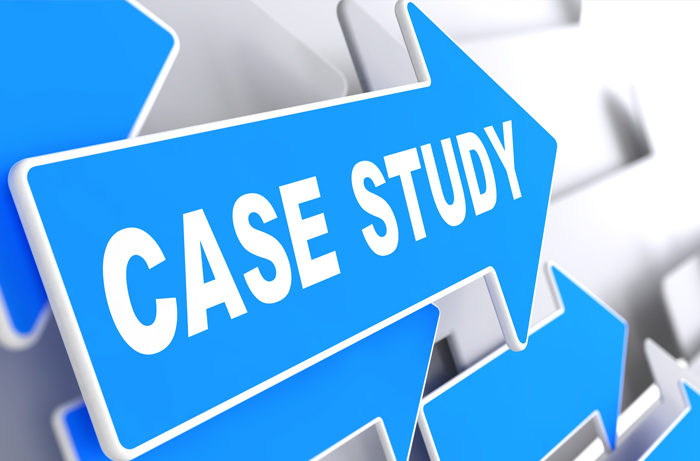 “We were doing the vendor research and had around 10 or 12 companies we were looking at. I received a call from SMS about their influence and negotiation program. I chose their product due to the combination of great customer service, excellent product, willingness to customize and competitive pricing”. “In preparation for the training we made phone calls, sent emails, and talked to people to let them know about the program. We developed pre-communications, a general course description, an attendance list and a high level agenda. We had an influencing template that people needed to fill out ahead of time along with a book to read which gave some vital background to the audience so they didn't come in cold. These areas of development were also kept in front of the leadership team. We reminded people what the training program was going to do for them. We promised them a greater ability to use their skill, be recognized for what they do, and feel more satisfied at work. Our internal marketing efforts coupled with our involvement and commitment to this program have been a big part of our success”. "In one group the whole management team decided to attend together. This included the executive head of the group, his directors, and the next level below, the managers. We pushed the participants as hard as we could to get them to grow and expand and to challenge themselves. They did a fantastic job together”. “Our primary client is a supply chain which includes demand planning, product management, logistics, and customer fulfillment. We work with the directors and employees in demand planning and product management to set up training. There was an overarching concern that the supply chain was thinking and working as individual silos. One of the goals of the senior vice president of the supply chain was to try and create an integrated supply chain on a regional and global scale. Influencing Collaboration was one of the key programs identified to try and achieve that goal”. “In the supply chain, we talk a lot about upstream and downstream. For example, in San Francisco the supply chain is downstream from the merchandisers and the designers. The merchandisers and designers make requests to the supply chain for certain types of apparel. The people in the supply chain know they cannot reproduce anything like what has been requested of them at a cost where we can sell it and make a profit. Yet merchandisers and designers own the business and they are supposed to have accountability for what goes in the line. So they push back and tell the supply chain to just make it happen. That is a classic example where there is no power or authority". “The learning and development initiatives were established using a process that started with one manager spending a lot of investigative time with the vice president of a U.S. supply chain and his direct report. We looked at what was going on in the business and what kind of human competencies people needed to achieve their goals. In addition, we used the Annual Operating Plan to identify the things we had to get done, what people needed to know in order to get them done, and did they already know these things. We have to be able to go back and measure the contribution to the business initiative". "The challenge is to influence, collaborate and negotiate so that we can try to meet the need of the merchant and maintain internal relationships. It's really important that people have a similar language and some similar skills. People need to have a common framework, language, and methodology, so when they are talking to one another, they have a reference point of what they're trying to achieve. A lot of this is just educating and up-scaling people so they are more effective at getting their work done across functions”.